A couple near New Castle told police that multiple protection orders did nothing to stop an ex-husband from breaking into their residence in the night and beating his ex-wife’s boyfriend. 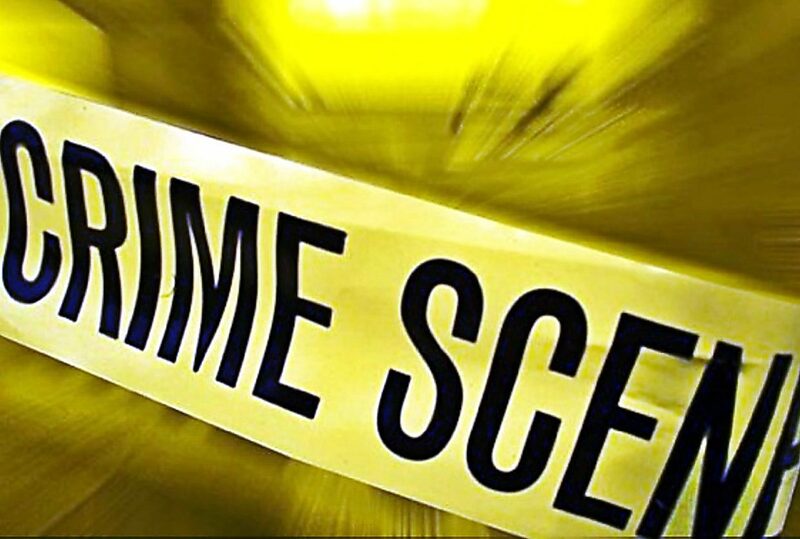 At about 3 a.m. Sunday, Garfield County deputies responded to an assault at Apple Tree Mobile Home Park. A man said that while he and his girlfriend were sleeping, her ex-husband, a 30-year-old man, broke into their residence through a window. Also sleeping in a separate bedroom was a 7-year-old boy, the son of the former couple. The man awoke to noises in the house and found the ex standing in their bedroom doorway. The man tried to close the door, but the ex pushed it open violently, according to an affidavit. The intruder yelled that his ex-wife should not be in the house, but rather she should be with him. The couple told police the ex-husband appeared to be drunk. He tried to grab her and pull her out of the room, but her boyfriend stepped in. Then the ex reached behind his back, saying he had a gun and that he would kill them, though they never saw a weapon. The intruder went down the hallway to his 7-year-old son’s room and kicked in the door. The boyfriend again tried to stop him, but the intruder punched him several times and fled in a white truck. Police later found the victim with abrasions to his forehead and cheek and a debilitating injury to his shoulder. Valley View Hospital emergency department personnel believes there was some tendon or structural damage to the man’s shoulder, which they classified as serious bodily injury. The boyfriend told police that this man had recently been arrested for violating a restraining order barring him from contact with the woman. “[The woman] was in fear of [her ex] because he keeps violating the terms of the restraining order that has been in place for almost a year,” one deputy wrote in an affidavit. She was afraid he would continue to come back to try and hurt them, regardless of any restraining order. Deputies found the 30-year-old man had three mandatory protection orders. The first two originated in October 2015, one listing his son as the protected party and the other listing his ex-wife. A third protection order came in July, again with his ex-wife as the protected party. All three orders bar him from drinking alcohol. Deputies also identified four separate domestic violence cases from 2011 to 2016 in which he was the suspect and his ex-wife was the victim. “These records appeared to show a pattern of abusive behavior and continued escalation of violence,” a deputy wrote in the affidavit. When a deputy contacted him later that day he denied that he’d been at the mobile home. He was arrested Tuesday on charges of first-degree burglary, a class 3 felony; second-degree assault, a class 3 felony; stalking, a class 4 felony; menacing, a class 5 felony; along with harassment, criminal mischief and child abuse, all misdemeanors. Bobby Joe Honeycutt, a 52-year-old Glenwood Springs local who is notorious for smashing thousands of dollars of potted plants in downtown Glenwood Springs in July 2015, was arrested in Rifle while out on bail. Two Rifle businesses, Green Cross Dispensary and Wellness Center and Shooters Grill, reported Friday morning that Honeycutt was being a nuisance in their businesses — shouting, swinging a broom and trying to pick fights with customers. One employee at the dispensary ejected him, but Honeycutt later pushed his way past an employee blocking the door to get back into the dispensary, according to Rifle police. He was arrested without incident on charges of second-degree burglary, a class 4 felony, and misdemeanor harassment. In the potted plants rampage case, he recently accepted a plea deal and pleaded guilty to criminal mischief, a class 6 felony that is punishable by one year to 18 months in prison and fines from $1,000 to $100,000. 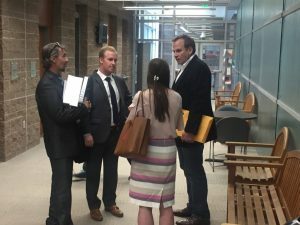 The plea deal dismissed the remaining charges, including a class 5 felony criminal mischief, as well as obstructing a peace officer, first-degree criminal tampering and violating bail bond conditions, all misdemeanors. The plea deal also is allowing concurrent sentencing with another recent drug case that Honeycutt picked up a couple of months after the potted plants case. He pleaded guilty to possession of methamphetamine, a class 1 drug misdemeanor, but got off on more serious drug charges, including felony possession with intent to distribute and felony possession of methamphetamine. Honeycutt’s plea deal also dismissed five more of his misdemeanor cases in exchange for the guilty pleas. He is scheduled for sentencing on Sept. 8 in the potted plant incident and drug cases. After setting up an undercover buy, Two Rivers Drug Enforcement Team arrested a 31-year-old Parachute man and found with him 143 grams of methamphetamine, 7 grams of heroin and 6 grams of cocaine. TRIDENT set up an undercover buy for $2,000 worth of narcotics Aug. 12 from the Parachute man. 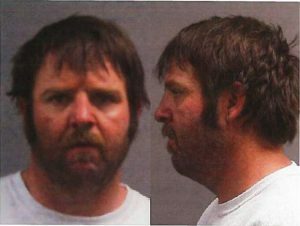 Officers planned to meet him at the Big O Tires in Glenwood Springs. Driving a blue Honda Accord, he pulled into the nearby parking lot of Glenwood Springs Mall. Because the 31-year-old has an extensive criminal history and is known to carry weapons, the officers conducted a “high risk stop,” and he was immediately detained. The man gave verbal consent allowing officers to search the vehicle, according to an affidavit. TRIDENT officers discovered 85 grams of methamphetamine in a plastic baggie, along with another 58 grams of methamphetamine, 7 grams of heroin and 6 grams of cocaine in a Sour Patch Kids bag, according to authorities. Officers also found a loaded Hi-Point .380 pistol under the driver’s seat. As a convicted felon, the man was barred from possessing such a weapon. The vehicle also was found to be stolen out of Mesa County. He was arrested on charges of attempted distribution of methamphetamine, a level 1 drug felony; possession of methamphetamine with intent to distribute, a level 1 drug felony; and unlawful possession of a controlled substance, a level 4 drug felony. Executing a search warrant at a suspected bike chop shop, Glenwood Springs police discovered evidence that also led to a drug possession arrest. A 47-year-old Glenwood Springs man showed up at the residence a little after 8 p.m. Aug. 3 and asked to get some items out of the house as it was being searched, but he was denied entry. This happened again about 30 minutes later, according to police. 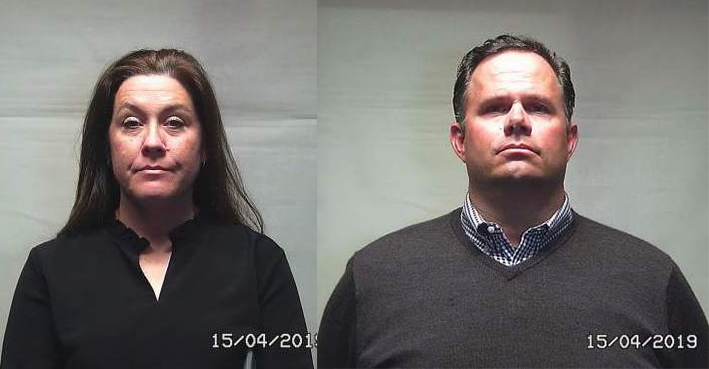 A warrant signed by Judge John Neiley, authorized a search for “bicycles, bicycle parts and any paperwork relating to the ownership of bicycles,” according to an arrest affidavit. 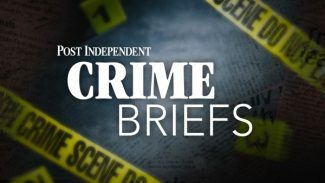 Glenwood Springs police last week asked the public to review photos of numerous bicycle parts they discovered at a possible chop shop, believing them to be stolen. They also found about a half gram of methamphetamine near other items with the 47-year-old man’s name on them. He was arrested on Aug. 12 on a charge of possession of methamphetamine, a level 4 drug felony. Police were alerted to a stolen car in the Lowe’s parking lot in Glenwood Springs on Aug. 11. A black 2013 Ford Fusion was reported stolen out of Denver, and a GPS service had tracked the vehicle. 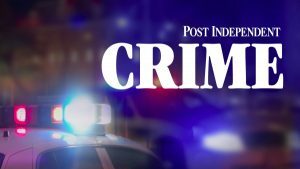 A 26-year-old man, who was driving, and a 36-year-old woman in the passenger seat were arrested on a charge of second-degree motor vehicle theft, a class 6 felony.